There is nothing more pleasing on a chilly October day than filling the kitchen with amazing smell. This can not mean anything else than to bake something delicious in the oven, right? I had a busy weekend with photoshoots, soccer game, fall festival and all that good fall activities and it felt amazing to spend some time in my kitchen after all that. 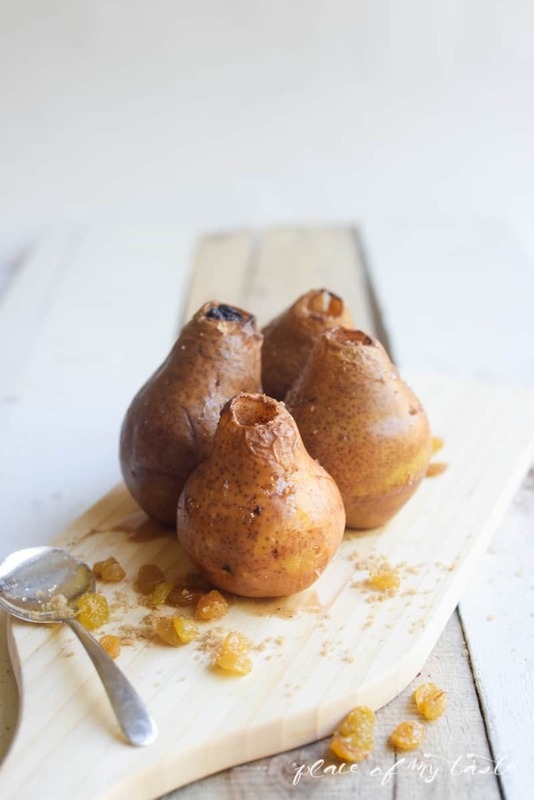 Have you ever baked pears? We love pears in any form. If this is going to be your first time trying baked pears- good for ya. 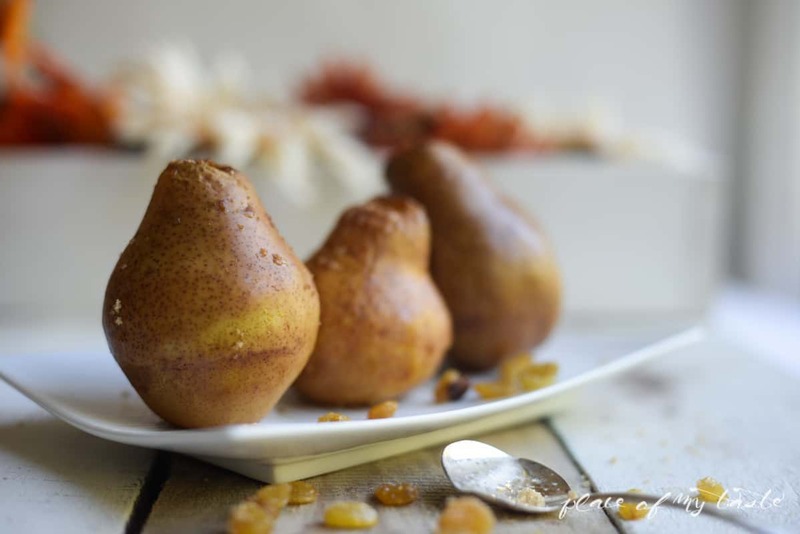 I guarantee that it won’t be the last time:-) These BAKED pears with raisins, sprinkled with brown sugar and a hint of cinnamon are simply incredible. 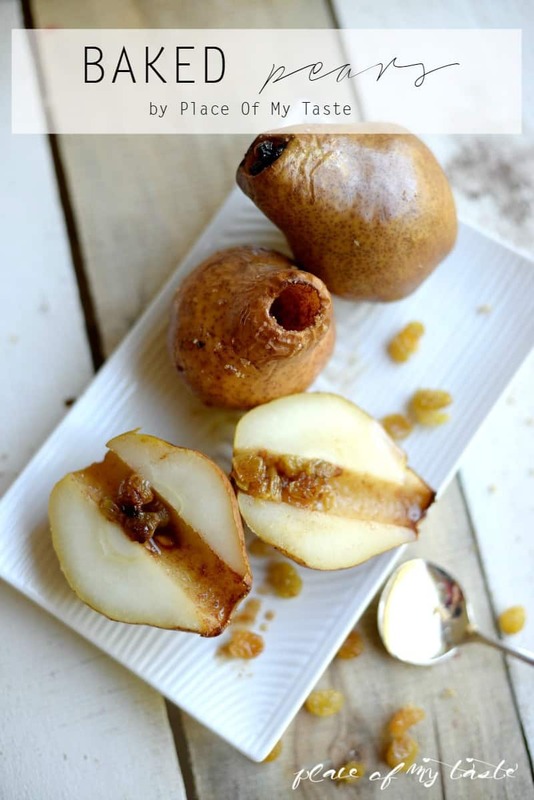 I made this recipe with apples before several times and now I tried it with one of my favorite autumn fruit, pears. 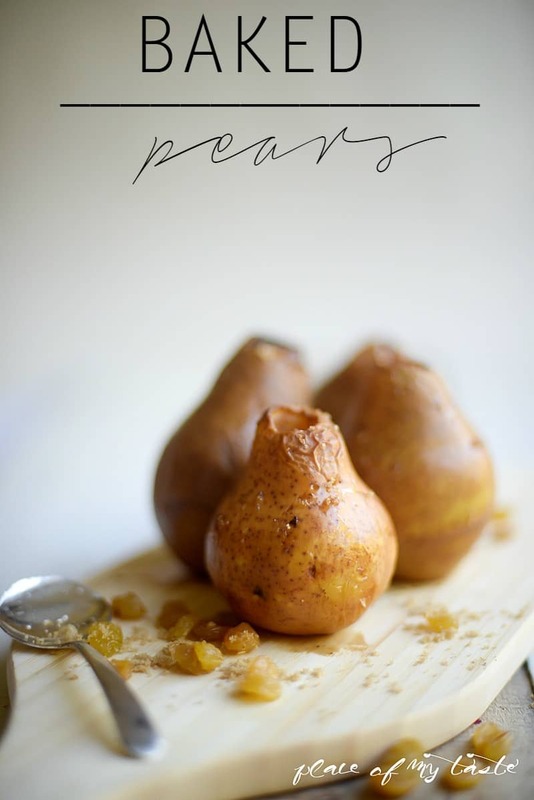 These baked pears go well as a side dish with meat but honestly, I can simply just eat them as a dessert too. Preparing these pears took only 5 minutes and they were baked for maybe a good 25-30 minutes in the oven. I used my apple core cutter (from IKEA) but if you don’t have that handy I am sure you can also use a simple knife to cut out the center of the pears. If your pear is on a smaller size you may cut through the bottom. 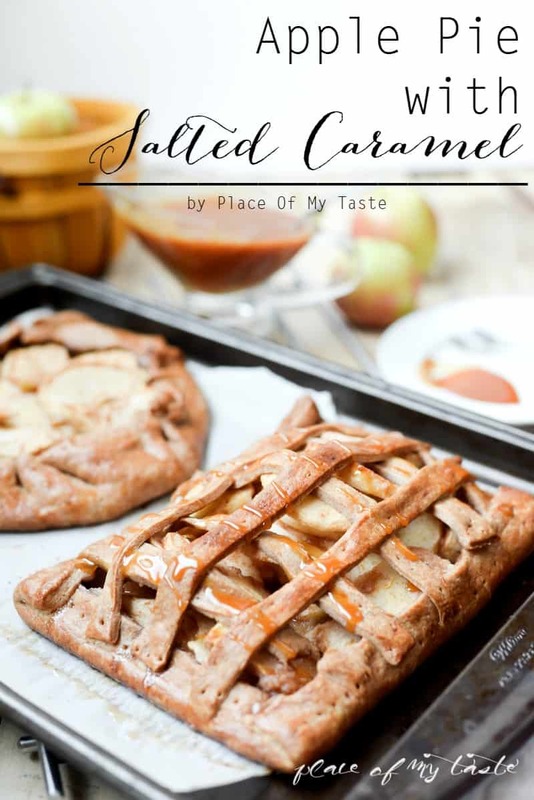 If that happens, make sure to keep a little piece of the center and place it back on the bottom of the pear to avoid leaking the sugary sauce while baking. 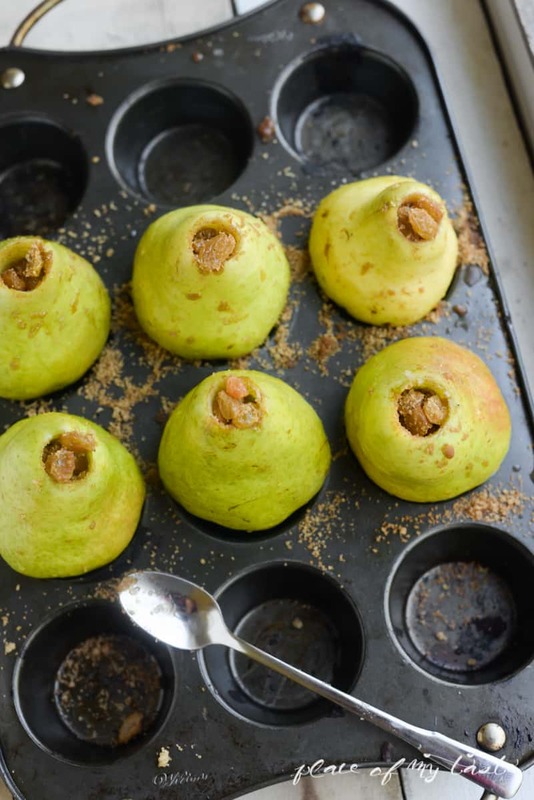 I placed my pears on a muffin pan as they weren’t very straight and they were falling on their side. 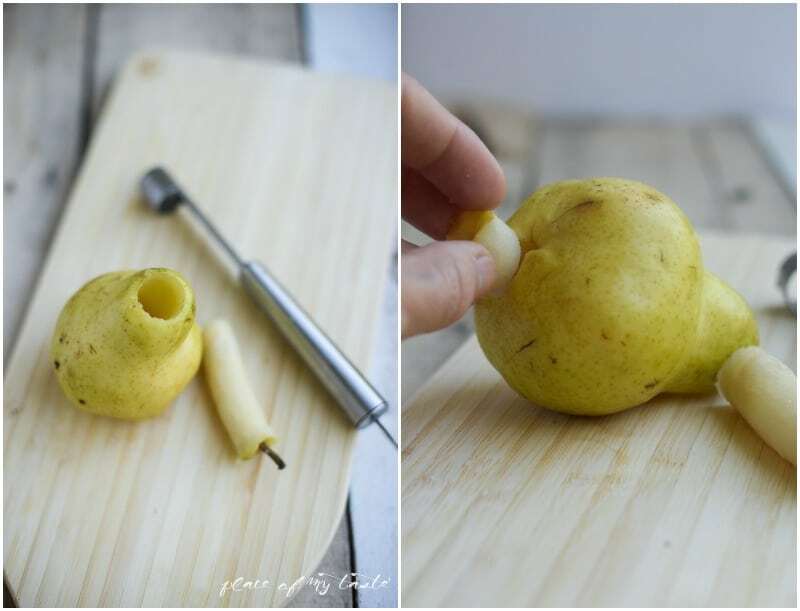 Cut out the center of the pears with knife. Mix together raisins, brown sugar and cinnamon. Fill up the whole with the mixture and bake for about 25-30 minutes or until pear is softened. Serve immediately with meats or as a simply dessert. After a good 25-30 minutes they were nice golden brown and very soft. What do you say? Will you try? Let me know how you like it! It’s definitely on my family favorites list. Thanks for visiting today lovelies! This sounds so good to eat and your’re right the smell is just what my house needs this time of year! Yum! These look DELICIOUS, Aniko! And, as usual, your stunning photography makes me want to leap through the screen to eat them NOW! I “need” to make these Aniko! 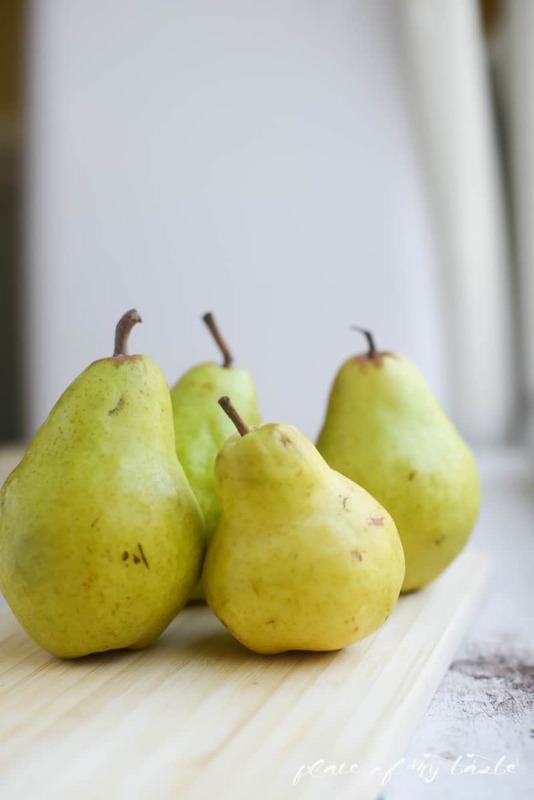 Pears are in our grocery cart every single week and these look sooo delicious! Would love for you to share them at our party on Thursday again please 🙂 Have a great week, friend! Oh my yummers! These look amazing and I LOVE pears. Give it a try, Kelly. You will love it:-) Have a wonderful week-end! Your recipes are always so good! Pinning! 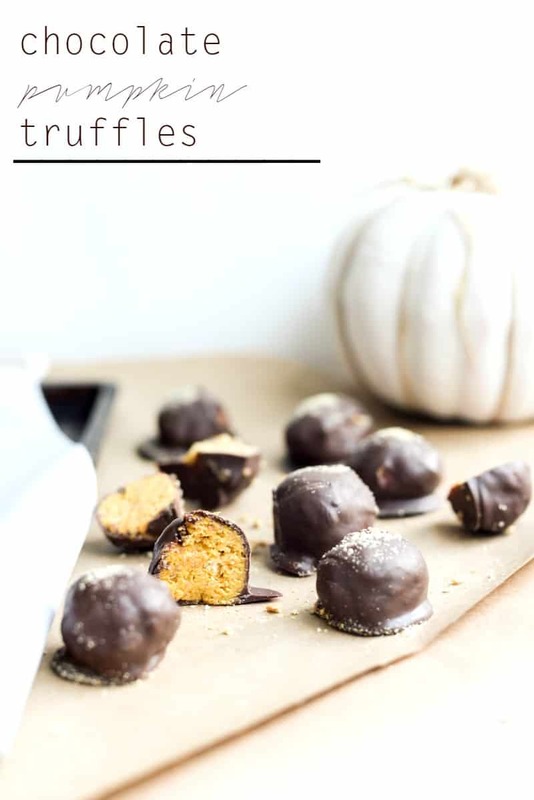 These look amazing Aniko – delicious, and beautiful! !